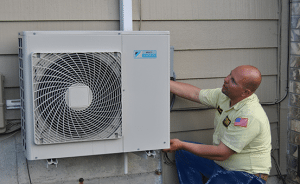 When it comes to owning a home, a working Heating and Air Conditioning system in the home is important for all times of the year. However, there are times when the filtering system can get dirty, and a change is needed. This article will discuss the good reasons for changing your home's air filter. The first and most important reason to change the air filter in the system is to prevent any sort of long-term damage from occurring. Over time the air filter can become clogged with dust, dirt, mold and all sorts of unpleasant substances. This can cause the system to fail if left unchecked. By checking and replacing the air filter on a regular basis, you can keep the Heating and AC system working properly for as long as possible, as well as avoiding spending money on getting it repaired. Below is our video on the importance of changing filters regularly. Check and change air filters regularly makes sure that the overall air quality in the household is top notch. Dust, dirt and mold can easily accumulate in the vents over time. When this occurs the air quality will go down due to all of that hazardous residue flowing through the house. Even worse, carbon monoxide can also build up and start getting released into the air. Carbon Monoxide is very hazardous to the health of you and your family. Learn more about the dangers of Carbon Monoxide in our recent blog by clicking here. It's important to regularly check and change the filter so this doesn't happen, especially if someone in the household has allergies or any respiratory conditions. Finally, make sure the filters are checked and replaced regularly helps to ensure that you won't have to shell-out money on system repairs. And electricity bills will be lower because an unclean air filter requires a lot more energy to pump out air than a clean one. By keeping it clean and replacing it when it gets too dirty, you can avoid costly repairs and higher utility bills in the future. In conclusion, there are a variety of reasons to regularly check on the air filter in the Heating Venting and Air Conditioning (HVAC) system. Whether it's to keep the system working, keep everyone healthy or cut down on costs, it is crucial to do a regular checkup on the filters as time goes on. Is your King County HVAC system working properly? 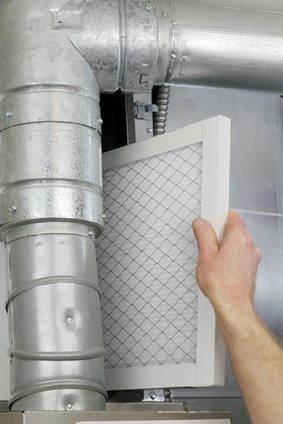 Call Fox Plumbing & Heating at (206) 767-3311, to get more information on why you should change your air filter.